The wooden printing panel is made of the high quality raw material pvc and printing with the natural wooden pattern. stamping the membrane on the pattern surface in order let the panel looks so smooth and the pattern vivid. The Hot Stamping foil printing is made of high quality raw material pvc. 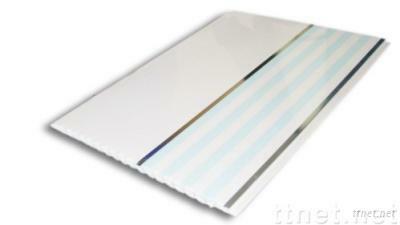 it transfer the foil on the surface of panel and deal with the special process. last hot stamping the membrane on the surface. the effect of ended product is so shining. It could be considered a kind of high qulity pvc panel ended product.